My aim: is for you to SEE (the truth) and BELIEVE Jesus and have radical new life in believing in Him, our risen Savior. How does the progression of sight and belief tie into the aim of the whole book? And how do the senses play a role--seeing, hearing, touching…. HOW were each of them transformed by Jesus’ resurrection? So we know, heading into Chapter 18 from last week, and Chapter 19 this week, that Jesus’ suffering and death are motivated by two things: the glory of the Father and the Son being made known, and the Father’s love for the Son being given to his own, who will be united to him by faith. Last week, Amy led us through Chapter 18, which ended with Jesus in Pilate’s custody. We saw Jesus betrayed by Judas, the contrast of Peter’s fear which resulted in his denial of Jesus, Jesus’ trial before Caiaphas, the high priest, and finally, Jesus’ trial before Pilate, who, seemingly out of the blue, asks Jesus if he is the King of the Jews. As a Roman governor, it makes sense that Pilate would be concerned about someone claiming to be a King. But, Jesus tells Pilate that his kingdom is not of this world, and that he came to bear witness to the truth. Pilate was satisfied that he was not guilty of a crime deserving death, not a threat to Rome, but to placate the Jewish leaders, he offers them a customary Passover release. He offers these religious leaders a religious king, but they reject this king for a criminal instead. So, at the end of Ch. 18, we are mid-trial, at Pilate’s headquarters, the praetorium. Jesus’ hour of glorification has arrived. We are looking for glory and love. Chapters 1-12 unfolded the public ministry of Jesus, as He revealed Himself in words and works from the Father, over 3 years’ time. Then, in chapters 13-17, the lens focused in on one single evening, as Jesus comforts and prepares the hearts of His disciples for the great climax of His ministry and life. He serves them, teaches them, and prays for them. 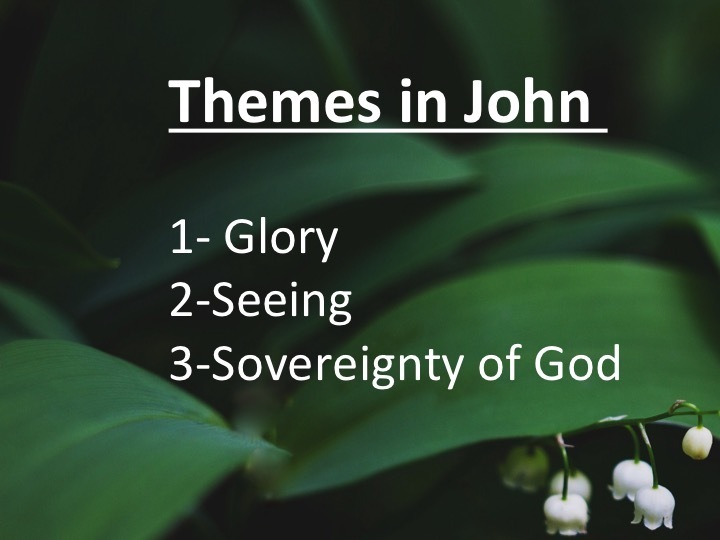 And now, as we turn to John 18, the action rolls forward as Jesus moves to the moment of glory and agony that He has prepared them for. As we walk through the sections of this chapter, I’m going to periodically insert a brief reading from the Old Testament, primarily from the psalms of lament. As Jesus, the Lamb of God, goes to His death, He is loving His own to the end. I hope that you will hear in the emotion and ache of these laments the deep, unstoppable love of God as Jesus is poured out so that He might take you in. Jesus has finished his Farewell Discourse, which took place from the last 8 verses of chapter 13 to the end of chapter 16. Some commentators think that Jesus and his disciples left the Upper Room at the end of chapter 14, and that Jesus led his disciples through Jerusalem, while teaching them chapters 15 and 16, to the path along the city wall that leads to the brook Kidron, where they will cross to the Garden of Gethsemane at the foot of the Mount of Olives in 18:1. It’s along this path that Jesus will pray, and our outline will follow the petitions that he makes of the Father. Jesus has just told his disciples, “Behold, the hour is coming, indeed it has come when you will be scattered, each to his own home, and will leave me alone. Yet I am not alone, for the Father is with me. I have said these things to you, that in me you may have peace. In the world you will have tribulation. But take heart; I have overcome the world.” (John 16:32-33). Now let’s pick up with them on the path to the garden where Jesus prays aloud. Abiding is being connected to Jesus through faith. Are you abiding in Jesus? We saw that true faith abides in Jesus and produces fruit. We learned that faith produces fruit of love and obedience, too. hatred … how? We are encouraged that it is only through the power of the Spirit, our HELPER. Faith’s power comes from the Spirit. Do we imagine that we are abiding in Jesus because we are better or smarter? We have no grounds for pride or boasting. Jesus chose us and set us apart -- appointed us. To do what? Jesus commands us to love one another as He has loved us. That is sacrificial, laying-down-your-life kind of love. How can we possibly do that? Only by ASKING for His help! When the Father gives us this fruit, our love will be an evidence of our abiding and an example to the world….and the world will hate us-- guaranteed by Jesus who the world hated first. John 13:31-14:31 "Jesus' Farewell Discourse: Comfort and Prepare"
For thousands of years, the people of Israel had been looking for a Messiah King. They were expecting a great military leader, one who would defeat all of their enemies and restore their land to its former greatness and glory. But what they had not expected was that their Messiah, their King would come as a lowly son of a carpenter …. that He would have no weapons, no army and no political power. They could never imagine that He would be crucified, lifted up, on the cruel cross that the Romans designed for maximum torture. However, over and over they were shown who Jesus was. Evidence upon evidence. Miracle upon miracle. Sign upon sign. 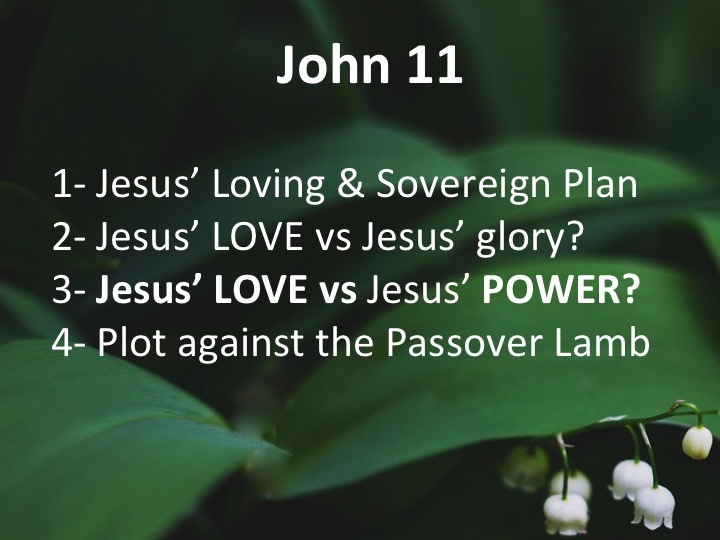 My aim in teaching John 12 (audio here) was to convince you that Jesus is the King of the world, the Christ, the Messiah, the Son of Man, the Lamb of God, rejected by His own and whose hour has come to lay down His life for those who believe. He begs us to believe in the light, to become sons of the light. He invites us to come out of the darkness of sin and death and come to the light. As the Light of the world, Jesus alone has the power to break the chains of sin! Jesus specializes in taking ruined, broken lives and renewing them by His power. King Jesus offers us a home, an inheritance, a seat at God’s royal table, and entrance into His kingdom of love and grace. Eternal life with King Jesus! Jesus is the King of the world, the Christ, the Messiah, the Son of Man, the Lamb of God, rejected by His own and whose hour has come to lay down His life for those who believe. Our right response is belief and worship. 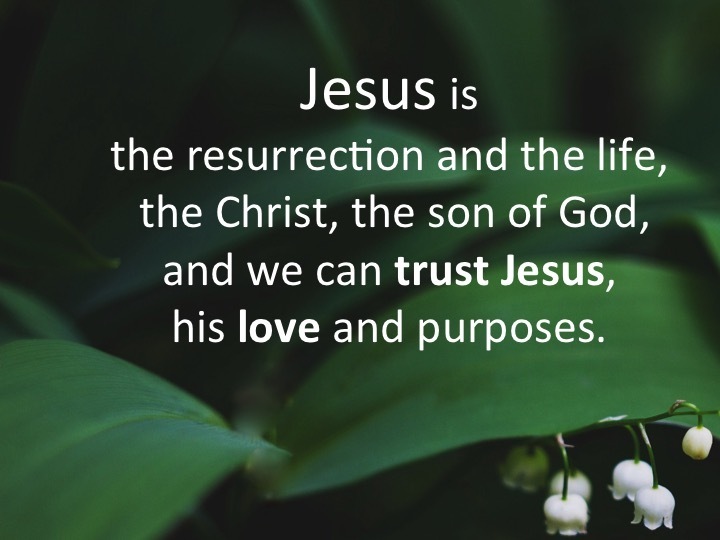 Aim: Jesus is the resurrection and the life, the Christ, the son of God and we can trust Jesus, his love and purposes. Trust Jesus, His love for you, and His purposes for you in whatever painful circumstances you are in right now. Perhaps your circumstances tempt you to question God’s love for you. Remember that He is accomplishing purposes beyond what we can even imagine. He is good, He is God and we are not. He loves us and wants us trust him, the resurrection and the life. 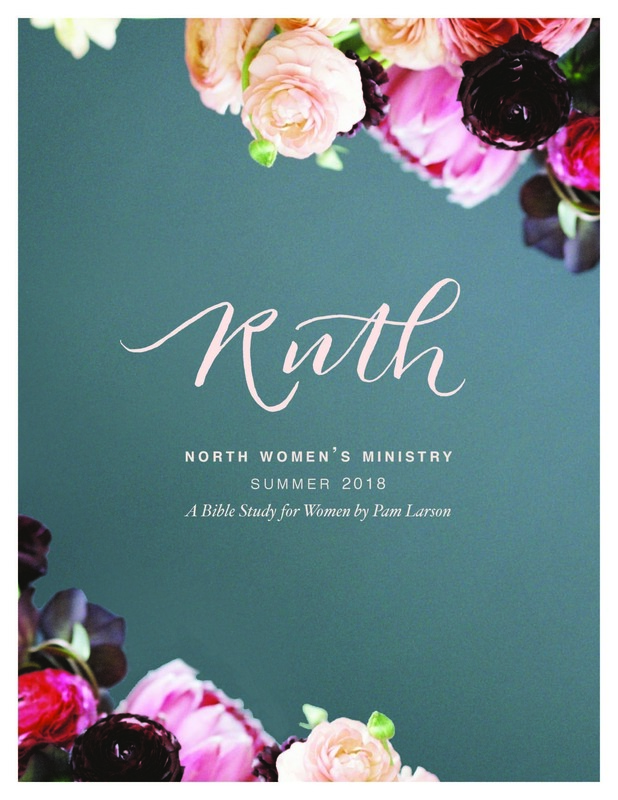 The sisters expected Jesus to come and heal their brother, but he didn’t. Their hearts were broken, but they learned that when Jesus writes their story, He has a purpose much bigger and much better than theirs. God’s glory is shown in His incredible love for us. Please don’t be tempted to put the love of God up against the glory of God. This passage tells us that Jesus stayed where He was for two reasons: the glory of God (v. 4), and his love for this family (v. 5). Preach to yourself the truth of God’s love. There WILL be times in your life that your feelings [or other people] will try to convince you that God doesn’t love you. Maybe answers to your prayers are delayed. You may be tempted to think that God has failed you, betrayed you, that He doesn’t love you. Stand on His promises in the Word. Jesus is the resurrection and the life, the Christ, the son of God and we can trust Jesus, his love and purposes. He loves you!